Prevent, predict, and reduce worker injury and claims. Donesafe helps companies achieve safer and more fulfilling workplaces all around the world. Our team has created the world’s most intuitive cloud-based EHS safety management software that transforms safety culture and drives worker participation and leadership. Through innovative, low-cost mobile first products we make it easy and accessible for every organization to reduce the risk of worker injury and claims. Donesafe can help ensure compliance with any standard and regulation around safety, including ISO 45001 and OSHA - Occupational Safety & Health Act. Have your entire workforce on the lookout. Encourage worker participation by eliminating productivity killers with intuitive and fast to learn software. Donesafe transforms safety culture and works on any device. Tap into real-time analytics. Easily analyze every hazard, injury and incident to anticipate and prevent it in the future. By combining powerful insight tools and the instant flow of data, you will know exactly where you stand on compliance. 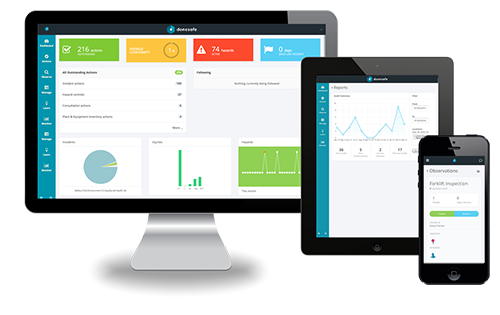 Resolve all requirements and issues in one adaptable platform. Connect all your apps, people and processes together to form a highly efficient solution. Choose from over 30 configurable apps or create your own. Do more with the resources at your disposal. Create a system that automates processes that are manual, repetitive or require consistent follow-ups or closeouts. Focus your time on high-level preventative tasks. 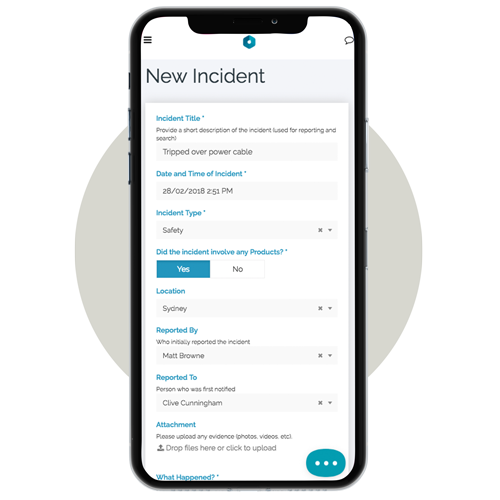 Donesafe helps you maintain accurate occupational injury and illness records by improving the efficiency at every stage of the process, from initial reporting of incidents to automatic generation of the 300, 301 and 300A forms employers are required to complete and maintain. Manage multi-step risk and hazard processes and accelerate your team's output by layering on automation rules. Reminders are sent until hazards are resolved. Never risk a hazard turning into an incident. Build your risk profile through powerful data analytics. Deploy hazard management that educates the user through a proactive process that enables continuous improvement and risk reduction in your business. Donesafe runs in any browser on any PC, tablet or smartphone, with a native app that works offline. Workers can instantly conduct workplace safety inspections, audits, pre-start checks, ergonomic assessments and more. Reduce productivity barriers with beautiful and simple to use software. Donesafe is fast to learn, jargon-free and guides workers through their day to day responsibilities and upcoming actions. Donesafe helps you control training requirements. Identify workers’ training needs, plan the required training, send the necessary reminders, and finally have all employees training records readily on hand. Upload learning, leadership and training material into Donesafe. Whether it be a document, video, SCORM course or image, deploy relevant information to workers when they most need it. Cloud-based software apps are designed to address all safety related legislations, including but not limited to ISO 45001 and OHSA. Cloud-based software apps are designed to address all quality related legislation, including but not limited to ISO 9001. Cloud-based software apps are designed to address all environment related legislation, including but not limited to ISO 14001. Donesafe boasts the leading range of core functionality which all Donesafe apps and solutions are built upon. Whether you invest in our entire suite, or just a single app, you will benefit from the features listed below. ISO 45001: Is the new health and safety management legislation a hassle or a blessing?